Product #143 | SKU 8-003-0089 | 0.0 (no ratings yet) Thanks for your rating! The Ultraport DSLR Bundle from Redrock Micro is a bundled kit designed to turn your DSLR hybrid camera into a professional video rig. This model features a two-grip configuration that minimises rotation while you shoot. 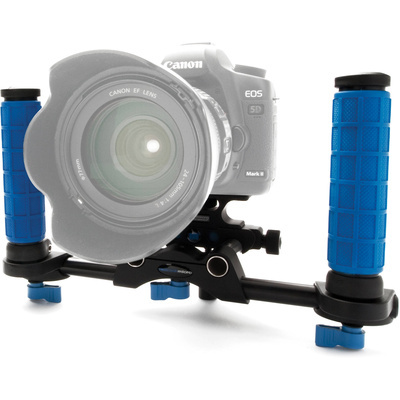 The system makes it easy to remove the camera from the rods with the DSLR baseplate's quick-release system. Choose to shoot with just the camera or shoot handheld with grips. The system can be further customised with a number of separately available accessories.